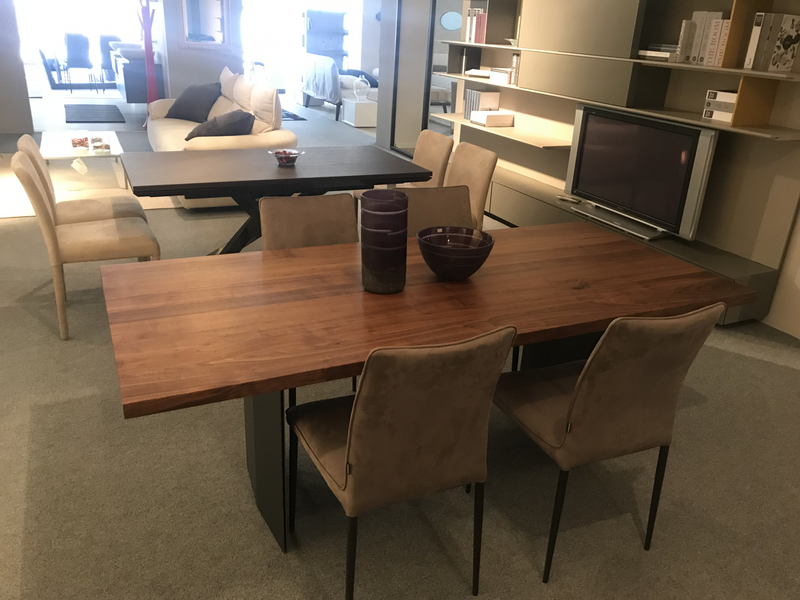 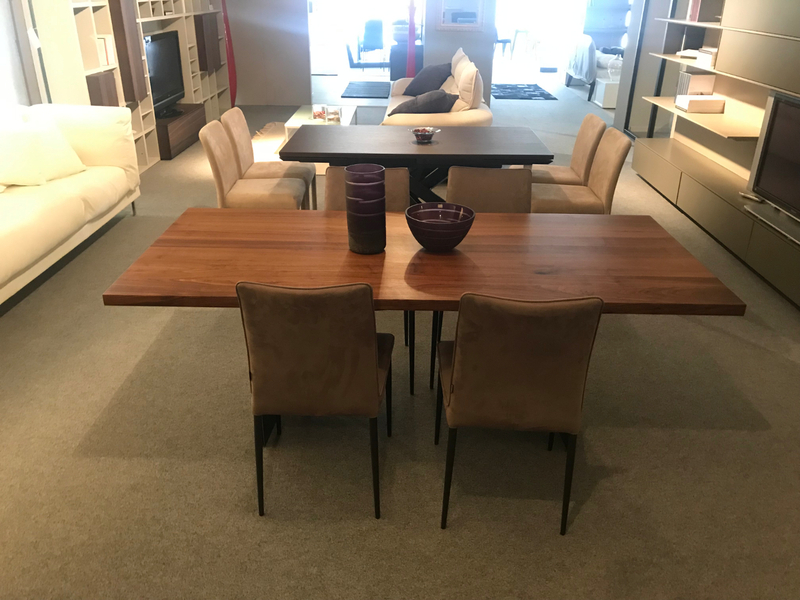 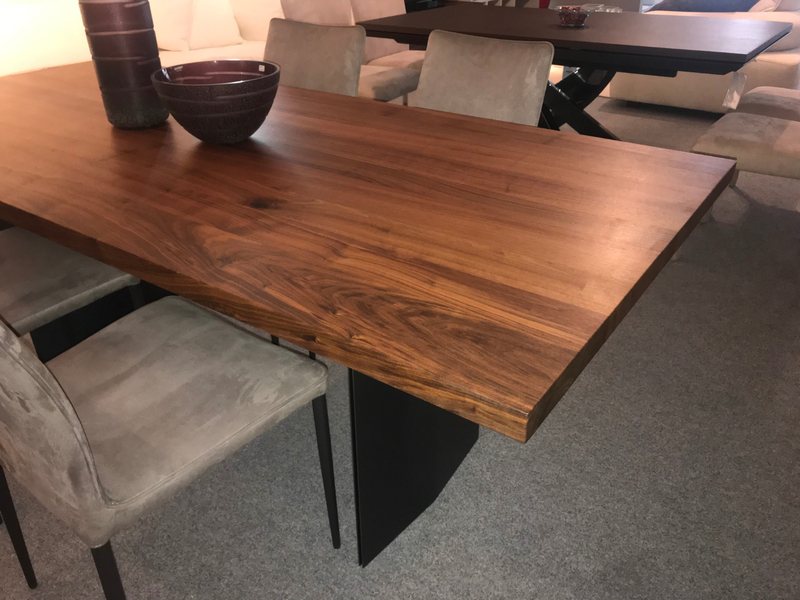 Table featuring a 4 cm-thick solid wood top, with natural sides or square side, available in walnut . 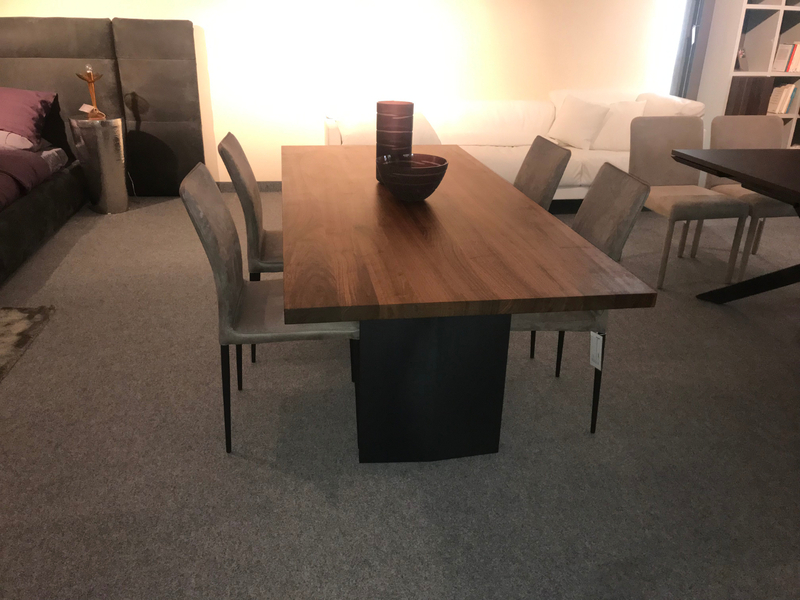 Legs in iron, lacquered mat transparent, with distinctive flattened diamond shape. Painted matt iron "Iron dust"